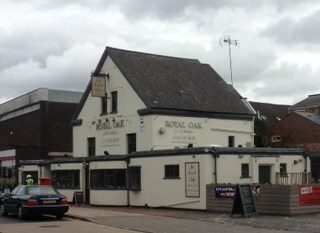 The Royal Oak ‘pub & kitchen’ in Radcliffe on Trent is another member of the Moleface Stable of pubs in the Nottinghamshire Region. 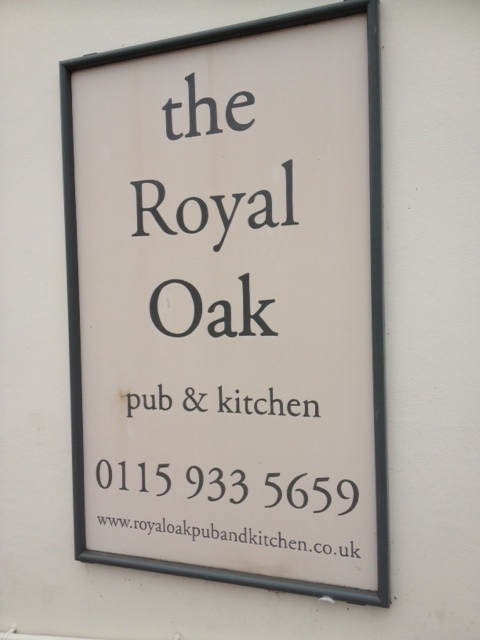 I have always had an enjoyable and memorable dining experience with Moleface at the Larwood & Voce in West Bridgford and I was hoping for more of the same from the Royal Oak. Instead I was checking out one of the lunchtime specials which I figured should really be a little lighter for the time of day. 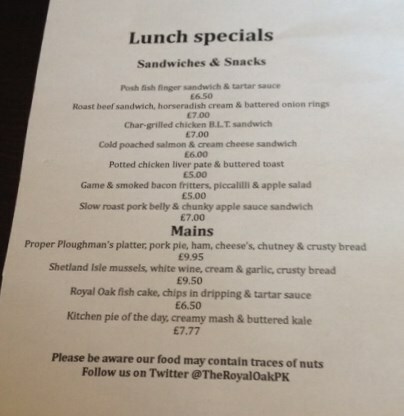 That was before I enquired what the ‘Kitchen Pie of the day’ was, and then when I was told it was Guinea Fowl then I was kind of sold on having that pie for my lunch. 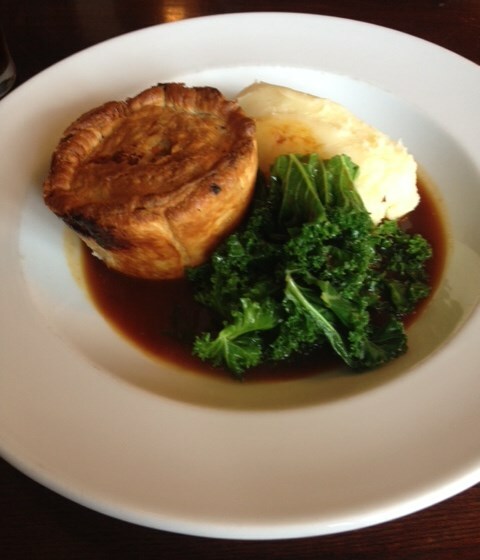 The Kitchen Pie was a Guinea Fowl and Root Vegetable pie, with mashed potato, curly kale, and it came in a bowl with some nice gravy. 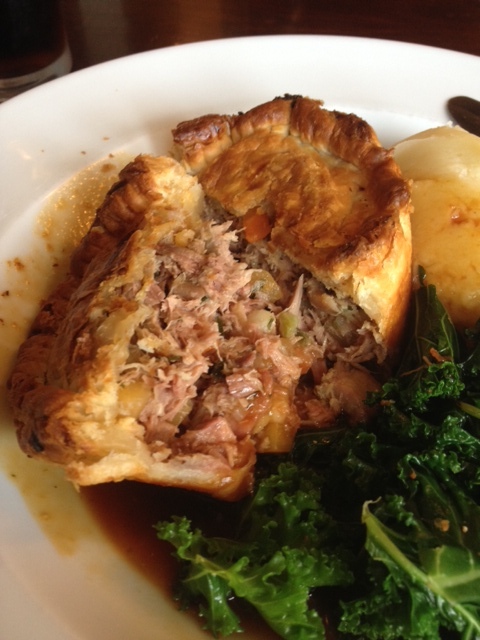 The really tasty and not that gamey meat was housed in an excellent pastry crust. There was plenty of that sweet meat and just enough of the root vegetables to add a little earthy variation into each bite. The kale was crunchy and firm and actually a little bit bitter, but you kind of needed that to cut through the richness of the pie. It was a little bit too large a bowlful for a lunchtime snack, but I manned up and worked my way through it. 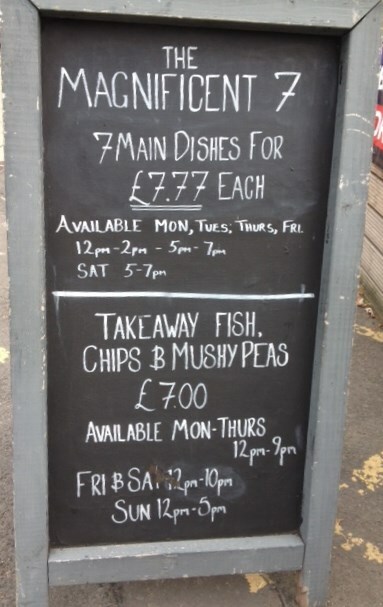 All in all Moleface did us proud once again with a good pie at a great price.